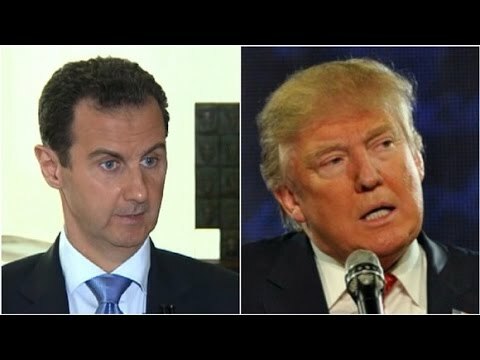 Syria's al-Assad: Trump "a natural ally"
In the past, Trump has asserted that Daesh (ISIS, ISIL) is a far bigger danger to the US than the al-Assad regime. In a telephone call on Monday, Russian president Vladimir Putin told Trump of the necessity to redouble efforts to fight enemy number one, terrorism and international extremism. At the same time, al-Assad sharply criticized Turkish president Tayyip Erdogan, saying that the Turkish troop presence on Syrian soil is an incursion, and warning Ankara that Syria has the right to defend itself. He said all the foreign fighters or terrorists who had come into Turkey come through Syria. Nowadays, he said, fighting these “terrorists” is just like fighting Erdogan’s army (he made a distinction with regard to the Turkish army and Erdogan’s army. In the meantime, al-Assad and his Russian allies are continuing their assault on the rebel stronghold of the East Aleppo pocket. Some 4000 rebel fighters, about a fourth of them al-Qaeda, are nested in a civilian population of about 250,000. On Wednesday, Syrian fighter jets bombarded East Aleppo indiscriminately, leaving over 80 persons, many of them noncombatants, dead. Russia has also been targeting rebel positions from its aircraft carrier in the Mediterrean. A rebel attempt to break the siege of East Aleppo appears to have failed. Alarabiya is reporting that an infantry and armor assault on rebel positions, in an attempt to take back all of Aleppo (the regime has the more populous and more prosperous west) seems imminent. If Aleppo falls, the regime will have gained a fragile victory over the rebels, whom Damascus, Moscow and now Trump all characterize as terrorists.